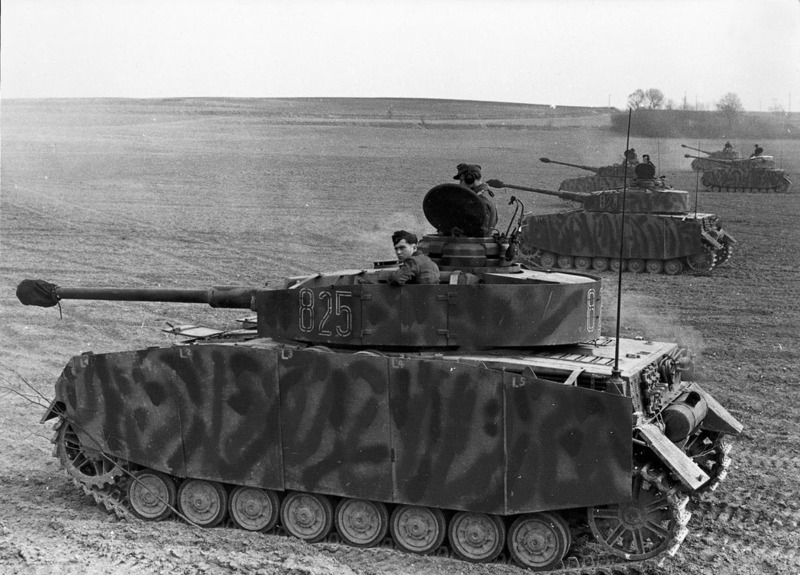 Between April 1943 and July 1944, a total of 3774 Panzer IV Ausf Hs were produced. The basic difference between this model and the Ausf G variant was the fitting of the SSG77 transmission. In addition, armour thickness was increased to 80mm (3.14in) from 50mm (1.96in). A host of other minor modifications included external air filters, all-steel rollers, a cupola mount for an antiaircraft machine gun, a new idler, the deletion of side vision ports for the driver and radio operator, and a new cupola with thicker armour. Main armament consisted of the 75mm KwK40 L/48 gun. The Ausf H and J models were up-gunned with this weapon in 1943-44. It was an excellent all-round gun, which fired a potent high-explosive round and also had a good anti-armour performance. This was especially true at short ranges when using the PzGr40 armour-piercing, composite non-rigid round. Following the introduction into service of the Panther, all panzer regiments in a panzer division were to have one detachment of Panthers and one detachment of Panzer IVs. However, because of problems with the Panther, panzer divisions had a second detachment of Panzer IVs. In France in June 1944, for example, most of the 748 Panzer IVs with the nine German panzer divisions were Ausf H models.